Mobile learning requires those who create learning to think differently about the way learners are accessing the material. Our usual pair of mobile learning experts, Jeff Tillett and Gary Woodill, hosted our special guest during yesterday’s session. All three discussed what people don’t understand about mobile learning. Jeff posited that “mobile learning” lends people to thinking about courses on a phone, but all three agreed that is not the best use of a mobile device. Gary said the learner’s ability to move is crucial so that learning is driven by the person’s context and point of need. “Often it’s just a very small piece of learning they’re looking for,” he said. For instance, Gary suggested that phones could be great tools for people with mental disabilities to navigate a city. People who are blind could do the same thing with shape-shifting phones that would change weight from one side to the other. The recording of this session has been removed from this site. If you would like to view it, please send me an email at abockler[at]floatlearning[dot]com. We’ve had L&D managers discussing their m-learning requirements and often they focus on converting e-learning to m-learning or making e-learning work on all devices (PCs, Tablets and Phones). 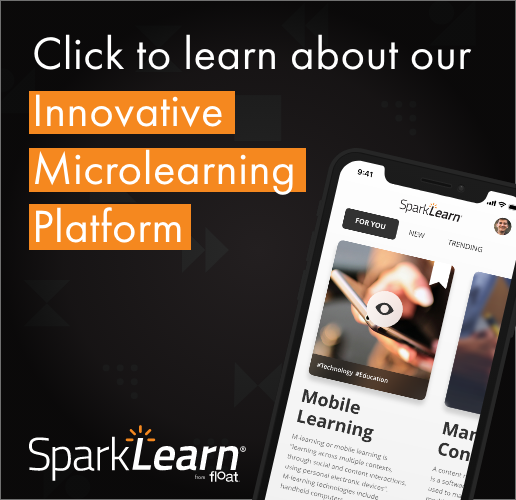 I sometimes feel m-learning is a wrong term we’re using for the domain as we can do so much more and better with mobiles. Think m-communication, m-support, m-access, m-capture, m-share etc. May be ‘m-everything’ is a better term to define what we know as ‘m-learning’ today.